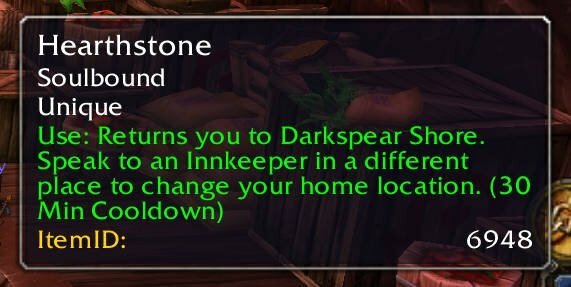 Adds IDs to the ingame tooltips. Please report any requests/bugs through an issue on Github. 8.1.3 - Add support for WoW 8.1.5, thanks kemayo! 8.1.0 - TOC bump to 8.1.0. 8.0.0 - Added support for 8.0, added Mount, Companion, Macro, Set, Visual and Source-IDs. 7.0.7 - Fixed errors when hovering artifact power items, fixed empty item id tooltips. 7.0.6 - TOC bump to 7.3.0. Added Bonus, Enchant, Gem IDs, thanks yoshimo. 7.0.4 - TOC bump to 7.0.1. Added Achievement Criteria IDs, thanks kemayo! 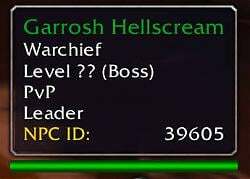 7.0.3 - Added World Quest IDs, thanks Konctantin! 7.0.2 - Added Artifact Trait Power and Spell IDs, thanks Tonydk! 7.0.1 - Added Quest IDs, thanks kemayo! 6.2.1 - Fix errors related to uninitialized tradeskill window, thanks Zwixx! 6.2.0 - Update for 6.2.0, fix tradeskill reagents, thanks WetU! 6.1.10 - Add Currency IDs, thanks tiker! should be possible to add the tooltip also for the world quest ? Hoslam, what addon do you use to capture Lua errors? Bugsack just gave me. (*temporary) = "attempt to index global 'TradeSkillFrame' (a nil value)"
Last edited by hoslam1 : 07-30-15 at 10:09 PM. @EKE: I think I've fixed that several versions ago. Does it still show double? Last edited by EKE : 11-01-14 at 09:56 PM. toggle combatlog frame , this is spellID but show as "itemID"
about item id, any plan to add item category, stack size and item Level? can i has setting to only show on shift held down? Last edited by Sintacks : 10-06-13 at 08:13 AM. I'm sorry, but I'm not actively playing any more, so I'm a bit behind on ToCs sometimes, but there isn't much that can break in this Addon, so you should be fine with loading out-of-date addons or updating the ToC yourself.